After an alien attack on your space station, you managed to take control on an alien spacecraft. 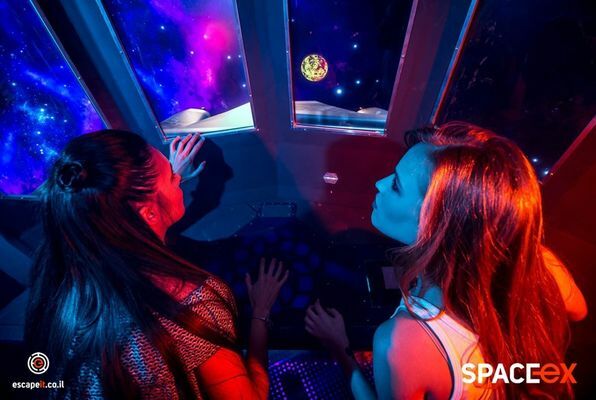 Enter the lost spacecraft - will you counteract the threat of time before you get lost in outer space? Escape rooms are taking Israel by storm! The goal of the game is to find a way out of a locked room within the given time limit. Work as a team to solve logical puzzles, uncover clues, and follow the storyline to unravel the mystery. Each riddle brings you one step closer to the ultimate escape! Escape room games are great for a night out with friends, a date, a birthday celebration or a team-building activity in Israel.